From where I sit, as I type this, I have a bookshelf behind me which is where I keep the cards that make it to a binder. Only 2 dozen of the books, and only half have rings larger than 2 inches. In them I keep my double play cards, bunting, throwbacks and miscuts. Player collections of Iguchi, Rowand and Crede in one, Fox, Apraricio and Lollar in a second, Petrick in a third and Konkerko by himself in a fourth. There are a few sets in binders too. My binders are a mish-mosh of styles and colors. Whatever I can find at the Goodwill for a buck, and whatever my wife can score for the stuff they want to toss at work. All it takes is a label, or a card, to ID the binder and store what you want. 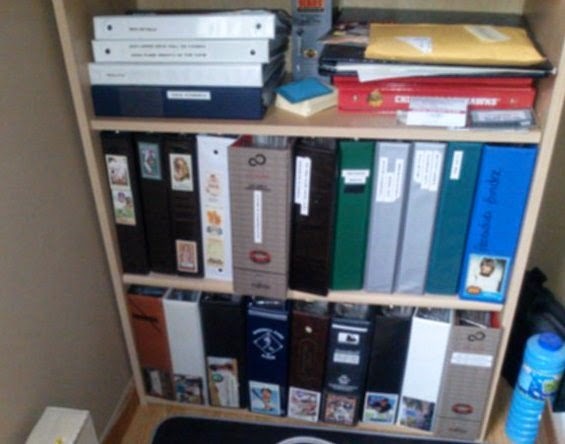 A lot of the cards within those binders comes from a good friend Jim over at GCRL. It was his double play binder idea that I borrowed (stole) to start my first custom collection. That binder, which you can see in the middle of the bottom row, is now over 850 cards strong, and about to branch out into a 2nd book. Jim recently sent a package with a note saying "too many cards for a PWE war", and he added a lot to the binders you see. There were plenty that never made it into a binder, but filled holes in the Sox box. Neither Singleton, nor Liefer panned out much as White Sox. I think the inability to work a door knob should have been an indicator in that. 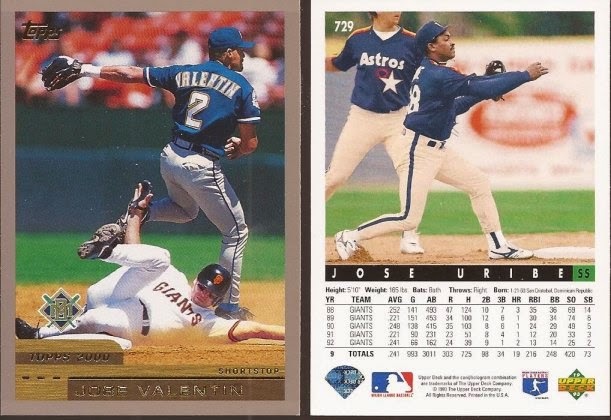 Lots of nice bunting cards from the '95 set. Always good to see the Topps rookie cup logo, even if 1995 would be the last year that Patterson played in the bigs. Couple for the double play binder. I believe that is a Matt Williams cameo on the Valentin card. And a few for the throwback binder. That Cruz was a saved search in ebay but never made it to the most wanted baker's dozen. Beautiful blousing on the pants by Jose. That's the look of a ball player. Jim added a couple vintage miscuts. Three names I have never, ever heard of, though I think that 2nd baseman was a player on What's Happening. Lastly, Jim sent in a couple for the player collections. 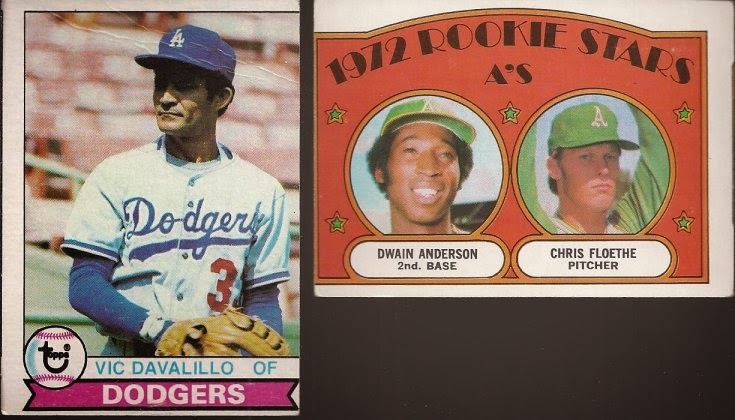 While the Aparicio is officially a "cards released during their playing days", I always accept any card with the player pictured. 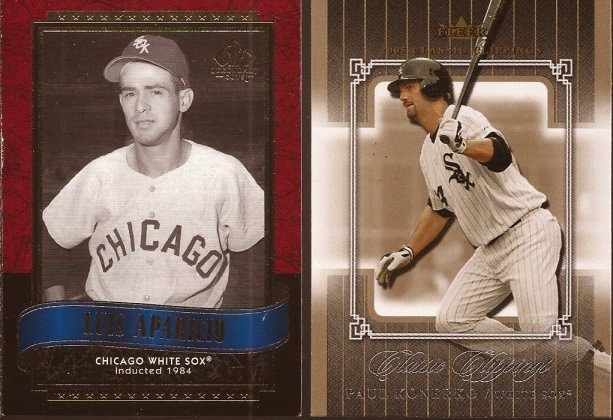 The Konerko Classic clippings helped me break the 300 count mark for Paulie. Thanks for suspending the PWE war, Jim. I'm on an eternal search for binders (and pages) at garage sales, flea markets, thrift stores, etc. You can never have too many. 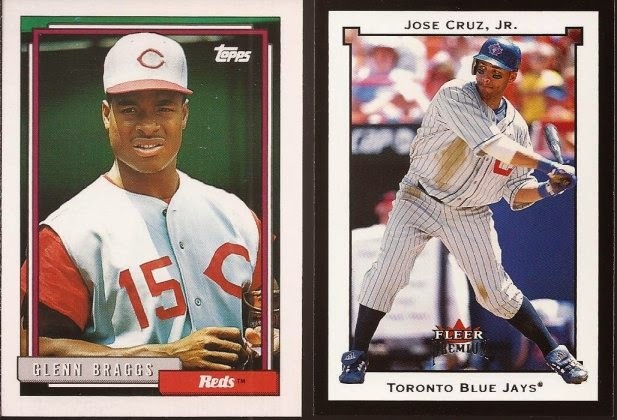 Looks like a terrific package there, and I'm especially jealous of that Cruz throwback. If either of you guys want some binders or binder pages I'd be happy to send some over to you. I picked a bunch of used 3x3 9 pocket ones at a card show last year and I can't use them (I use a different kind of binder) and still need to get rid of them. hey hey hey! isn't that cruz card number 1 on your baker's dozen list? Didn't realize that that 10,000 Maniacs covered Peace Train. Not bad. Love me some Natalie Merchant. Loved when she and Stipe teamed up with Peter Gabriel for Red Rain. P.S. Love the binder shelves!